100 ha land at 830 Leakes Rd, Tarneit, 5 ha of which is used for industrial purposes (fertilizer plant). 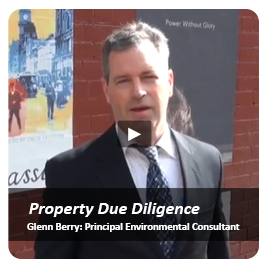 Accompanied client on a site reconnaissance visit to identify potential environmental liabilities and issues. Prepared a short letter documenting findings and opinions in regards to land. Environmental Planning Advice at Tarneit Road, Tarneit, Victoria. 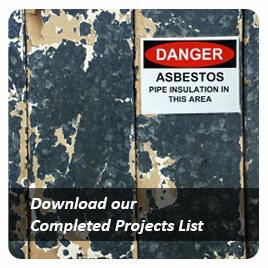 Atma Environmental took on the role of client's advocate in the face of Council pressure to audit a site previously assessed, remediated and determined suitable for purpose. This was resolved via a successful peer review of several Atma reports. 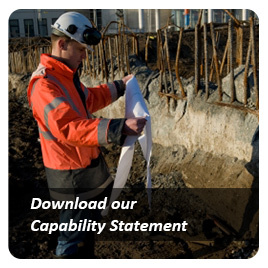 A preliminary soil contamination investigation was completed at a proposed multi-use development site to assess risk to construction workers and/or future site users; and to comment on the indicative soil hazard classification status of material for off-site disposal. For closing out a number of environmental issues identified for this fertilizer depot before planning, further investigations were completed to demonstrate that the site was suitable for new residential use following completion of remediation works, also managed by Atma Environmental. Urban fringe land, including a private school and an adjacent rural-residential development block underwent Phase 1 and 2 Environmental Site Assessment. The assessment confirmed unacceptable levels of metals and hydrocarbons requiring further investigation prior to a sensitive use. 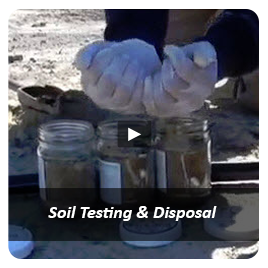 Soil samples were collected from nine dumped soil stockpiles near a school. 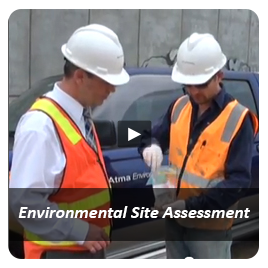 Based on the results obtained, Atma Environmental classified the material for off-site disposal purposes. Further analysis of soils was undertaken to facilitate the landfill disposal of Category C material. 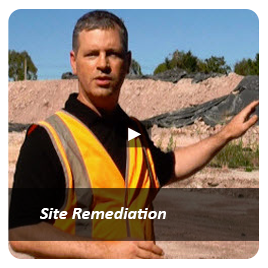 To appropriately plan and manage site clean-up for sensitive residential land use, a detailed Phase 3 investigation was planned and conducted around the former sheep-dip site, a Remedial Action Plan (which included use of XRF technology) developed to minimise high level contaminated soil for disposal, then executed to restore the beneficial use of the land to residential. Providing client advice as to the removal of a underground tank which was unexpectedly found during site preparation services and carrying out environmental validation of the tank pit and classification of excavated soils.